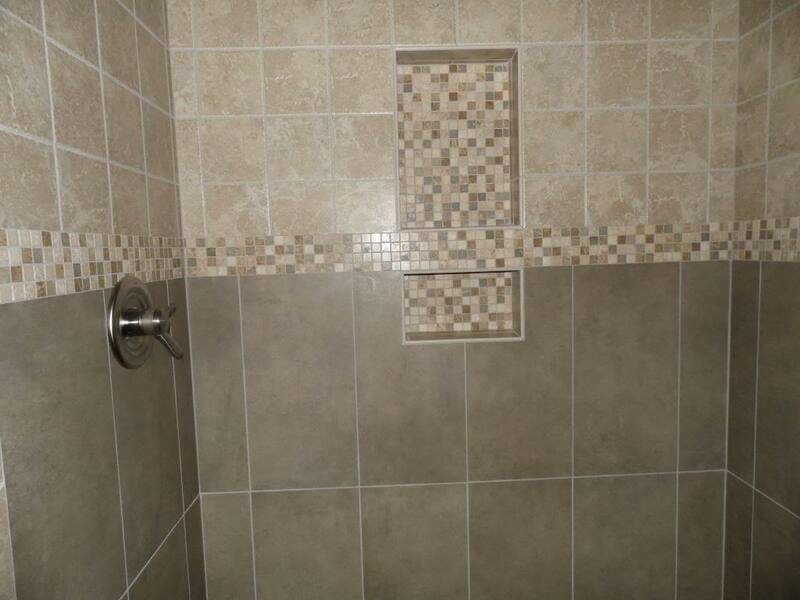 Shower niches should be pitched for proper water run off. 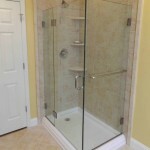 All of the starting thoughts of a tile shower can come easily but what is the design or look you want to capture? There’s plenty of things that come to play especially when you get down to accessories like built in seats, niches, shaving niches, soap dishes or whatever else you can jamb pack in for your convenience. Planning a niche can be tough because taking tile trims into consideration leaves you with “what you like” and “what is available”. There’s plenty of ways to cap off the outside corners with bull nose, quarter round, pencil, aluminum strips or even fabricated stone pieces. Staying in line with the color and flow of the field tile you like for the walls can be a problem if there’s no bullnose available. Other things can be done to achieve the look you want or you could end up mixing and matching different trims (manufacturers) to bring that over all blend of colors together. Sometimes the best looking showers are a culmination of different sizes, colors and mosaics throughout. What about an “Old World” look? One of the many things to our convenience here in America is the fact that we actually have bull nose trims to use. It’s a hot commodity to keep a job flowing (less time on the saw and more capping off end walls etc…). Plenty of other countries do not believe in bull nose trims and there’s a lot of plants in Italy that don’t drop at the dime for a rush order of trim either. 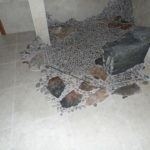 All that said, for a more natural looking shower, field tiles can be mitered to match up on outside corners of a niche and other methods of fabrication to finish of all the transitions. It’s not very easy and takes a lot more time for installation but adds a nice touch to the project. 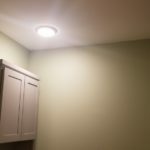 What Is Bullnose Trim? Bullnose trim is used to provide a smooth, rounded edge for countertops, tile showers, or other construction. 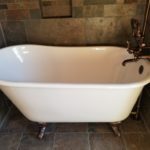 It is commonly used with bathroom remodeling projects or other home remodeling projects involving masonry and ceramic tile. Another thing to keep in mind is the bottom shelf portions of a niche should be pitched so water will not lay in the back corners. Obviously not so steep that your soap and personal items are constantly sliding off but there is a happy medium to achieve. This needs to happen when it is built as well… having a flat shelf and tipping your tile does not work because showers are designed to leak behind the tile so if water puddles anywhere underneath – a wrath of build up and mold can grow underneath the tile. A good layout is important! Planning a shower niche can be pretty easy. Once you have all of your tile selected there is a process to draw up a general layout design of how you would like it. This will give a basis for how and where tiling will start in the shower. If it’s a more complicated layout, things could take longer to set up and get all the measurements in order. There is plenty of times where the niche is half built (width and height) but not completed until a course or two of tile is on the wall. At that point, final measurements can be taken to set a center shelf and finish waterproofing the area before work continues. Add some color. Your new shower will be a new oasis for you. Waking up in the mornings can be a drag sometimes so a lively shower with some sharp accents will wake you up even before turning the water on. Even if you want some plain white tile on your shower walls we can still add just a hint of pizazz to the back wall of the niche with some glass mosaic tiles. 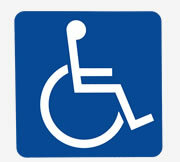 Just enough to personalize it for you. 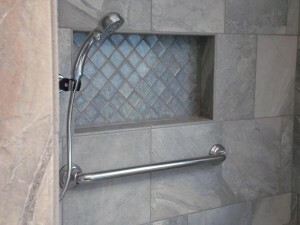 A shower niche is just one of those small things that makes a huge difference in the shower. Being tucked in the wall is a great space saver and an overall cleaner look than your standard ceramic corner shelves or soap dishes. Make it your size, your style and make sure there’s enough room to fit all of your stuff in there! 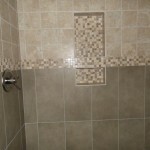 Who Builds Beautiful Tile Shower Niches in Harrisburg? 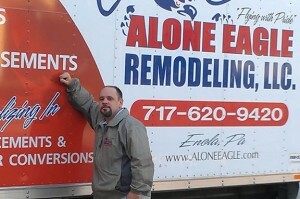 Alone Eagle Remodeling LLC is a full service remodeling contractor who specializes in building custom tile “dream” showers for homeowners throughout Harrisburg, PA and the surrounding area. 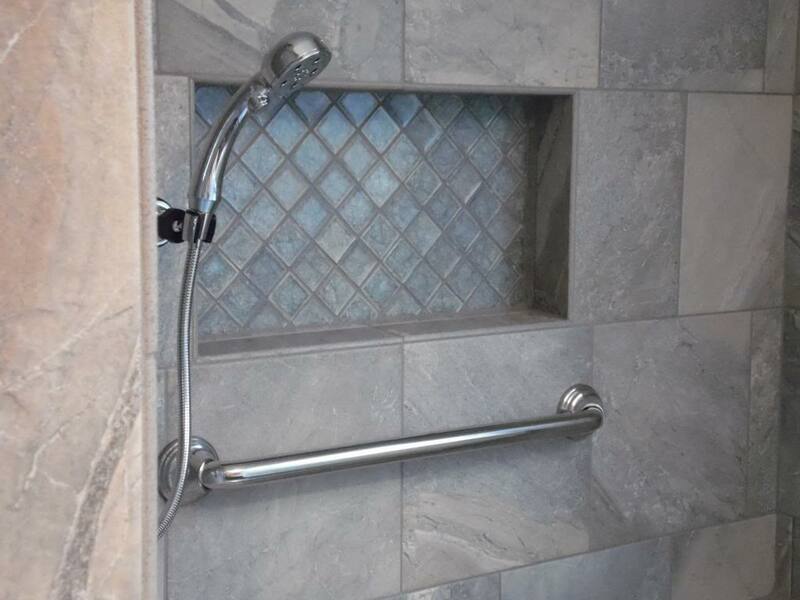 If you’re looking for the ultimate luxury shower experience then give Alone Eagle Remodeling a call today and we’ll discuss your project and provide you with a competitive estimate to transform your shower into something beautiful. Call 717-620-9420 right now.